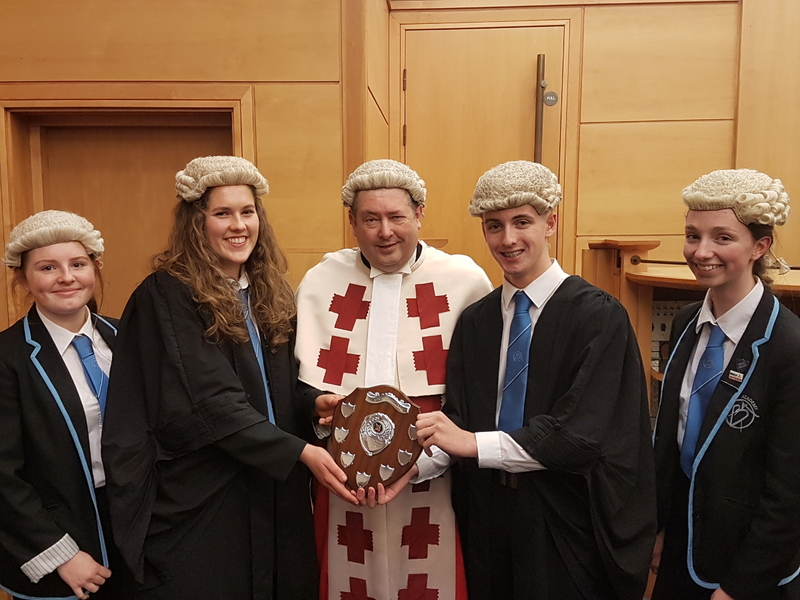 Scotland’s most senior lawyers were treated to an impressive display of future advocacy talent as pupils aged 15 to 18 competed in the Scottish heat of the National Mock Trials Competition, which took place Saturday 1st December at the High Court in Glasgow. This year’s event was won by Boclair Academy, Bearsden, who pipped first-time entrants Woodmill High School, Dunfermline, to the post in claiming this year’s top prize. Lord Mulholland presided over the criminal trial and formally presented the award, which was organised by Young Citizens. Pupils from Boclair Academy will now go forward to represent Scotland at the UK-wide finals, which will take place in Edinburgh in March. Craig Findlater, advocate and the competition’s co-ordinator in Scotland, said: “The mock trials event is a fantastic opportunity for school pupils to see what life within the High Court of Justiciary is like. “The chance to test to their mettle in criminal trials before a real judge and some of our most senior silks is one which the school pupils enjoy. Gordon Jackson QC, Dean of the Faculty, said: “The high level of talent displayed this Saturday in Glasgow shows that the future of Scotland’s legal services is in the very safest of hands.